Motorola, having just opened new Moto X pre-orders this morning, published three commercials to its YouTube channel, which show off the device’s listening capability, as well as its new 13MP rear-facing camera. In the commercials, Motorola is not afraid to show off their updated Moto Voice and Moto Assist applications, which further help users interact with their devices simply by using their voice. For example, when you are driving in your whip, Moto Assist will be aware that you are behind the wheel and automatically read text messages out loud, then allow you to reply by a simply command. 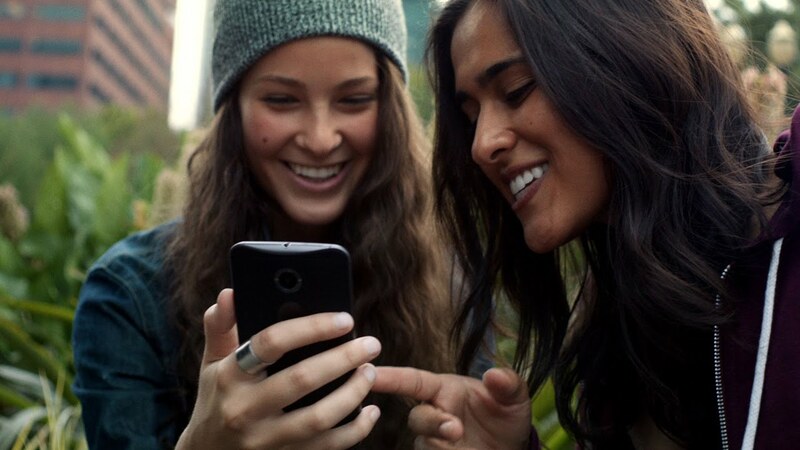 In addition to the added voice benefits of the new Moto X, the phone’s upgraded 13MP rear-facing camera will allow users to quickly snapshot all of those important moments, including your friend’s skateboarding tricks. Once you flick your wrist, the camera takes multiple photos before and after you touch the display to shoot, allowing you to choose the best shot from the bunch. You can watch all of the new commercials below.